Despite being told we shouldn’t, many people use their email messages as glorified to-do lists: We note the bills we have to pay, the calls we have to make, the messages we must respond to—and all with our own crazy system. Mail Pilot for iOS offers one solution to the email organization mess by letting you choose when to deal with your new messages, rather than where to put them. In Mail Pilot, the inbox has been replaced with the Incomplete box. The app operates under the conceit that all messages arriving in your inbox are “Incomplete,” whether they’ve been read or not. Once they arrive, you can do one of four things: file it away for another day, file it away indefinitely, send it to a specific Mail Pilot list, or mark it as done, archived, or deleted. Mail Pilot’s user interface is full of tiny icons and fancy gestures that allow you to perform these actions; swipe to the right, for example, to set aside the message by a specific number of days. 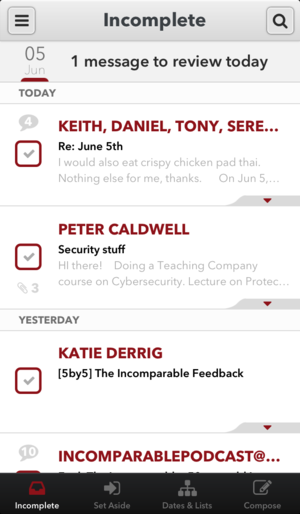 Other gestures include swiping to the left (to mark multiple messages), tapping the small arrow below each message (to reveal icons for scheduling, sending to a list, archiving, or deleting emails), or dragging down to refresh. Unfortunately, Mail Pilot’s innovative design falls a bit short when coupled with the underlying framework of the app. Simply put, the mail servers the app communicates with often have trouble knowing when or where I categorized a message; most messages move without complaint, but 10 to 15 percent of my emails had trouble getting from my Inbox/Incomplete list to their final destination—not a great feature for an email app. Occasionally, Mail Pilot had trouble moving emails to my requested review time. I suspect this isn’t entirely Mail Pilot’s fault—the app’s special “filing system” is really just a set of folders in your email account, and its communication problems sound like an IMAP issue, not an app one. But any missing email is a little scary, especially when there’s no option for undoing your selection. 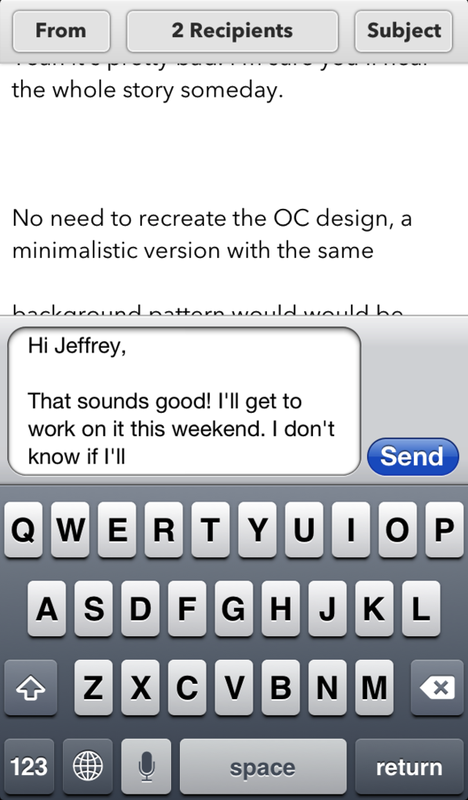 While I understand Mail Pilot's reasoning behind the Messages-like reply interface, I don't love it. When the app works, it’s awfully nifty. I often wish Mail had the option of deferring emails until a later date so that I don’t forget about them, so I was excited to see it in Mail Pilot. And the interface, while occasionally a little too complex, has a nice, clean look to it. There are a few interface quirks, chief of which is the single-line “reply” option for your emails. Mail Pilot’s reply interface is designed (I imagine) in part to allow you easy reading of your previous emails while composing a response, but it feels clunky—more like a messaging app than one for email. Maybe that’s the point, though: Should we really be writing opuses on our iPhone keyboards? Mail for OS X (and other desktop clients) display those fancy MailPilot rules as folders. Also, as mentioned above, I also hate the lack of an “undo” button: There are too many easily-pressed buttons and organization options lurking about. 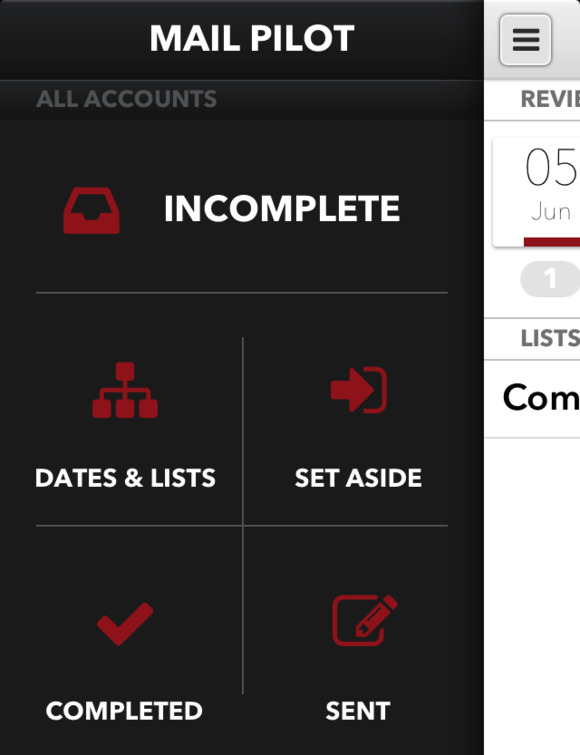 Swipe too far, and you have to go into the Dates & Lists tab to recover your email. The biggest hurdle, for me, in replacing the default Mail app with Mail Pilot, is the lack of desktop counterpart. Sure, I could file messages into Mail Pilot’s new “MailPilot” folders, but it’s not nearly as elegant as its iPhone and iPad counterpart. And I’m not in a position currently where I can use iOS devices as my full-time triage applications. Though it has a few problems and 1.0 shortcomings, Mail Pilot is certainly promising. It’s not quite ready for full-time use yet, but I’m keeping my eye on the app in the meantime. 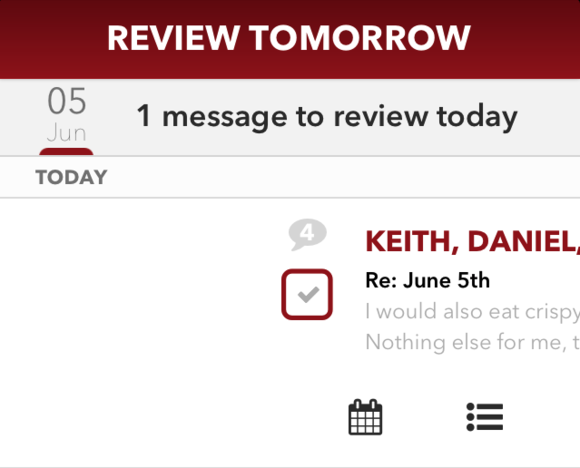 Mail Pilot is a Kickstarter-turned-mail app that aims to turn your email into a date-based to-do list. It largely succeeds -- though it's not quite ready for a spot on your home screen just yet.